Caked By Nanette is a home based bakery located in Penn Valley, founded by Nanette Taraya-Vonk. Nanette became a stay at home Mom after working in the corporate world for over 20 years. Her sole focus became her kids and family, volunteering much of her time to the schools: organizing events, fundraisers, and more. When she wasn't volunteering, she was baking. She was constantly showering her kids, teachers, and fellow classroom volunteers with cupcakes. Eventually, it became a weekly habit earning many ‘yummy’ comments, special requests from her loyal fans, and countless suggestions to open her own bakery. Caked By Nanette is the product of all those hours of baking and the encouraging words that followed. Her goal is not only to bake high quality cupcakes and other baked goodies, but to also give back to the community and schools. 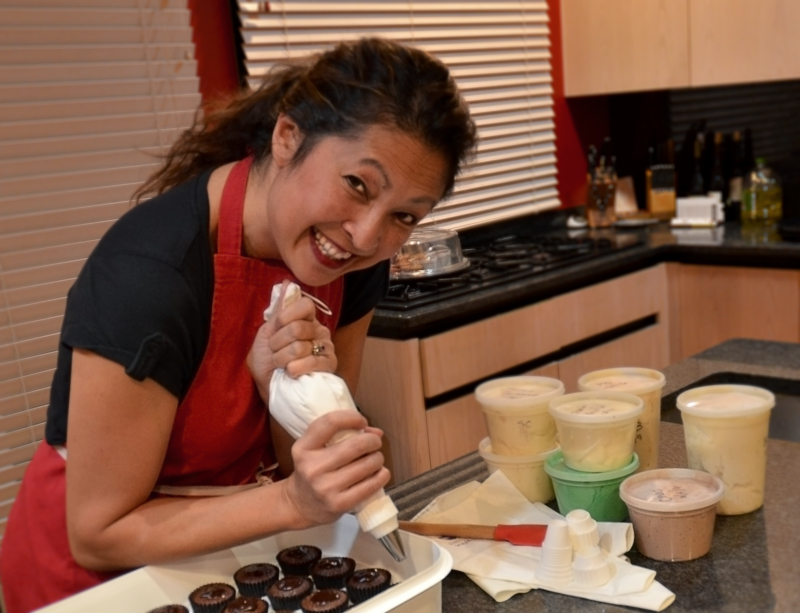 She will turn her baking passion into a fundraising journey to help local charities, school sports teams, and clubs raise money for their cause by selling cupcakes from Caked By Nanette and earning a percentage of their sales. Nanette bakes from scratch daily to give you the freshest product possible. Pamper yourself and indulge that sweet tooth. It's all for a good cause at Caked by Nanette.